“We have been invited to send teams to two youth tournaments in Asia,” reports AGA President Andy Okun. “With all expenses paid for kids once they arrive, this is an an incredible go-related cultural experience for the price of round trip air fare.” The Kuksu Mountain tournament will be held August 2-7, in scenic Jeollanamdo Province, South Korea. Youth teams will be attending from all over the world, and participants will compete in multiple tournaments, with prizes in various rank brackets. Go related side events and local tourism are part of the program as well. 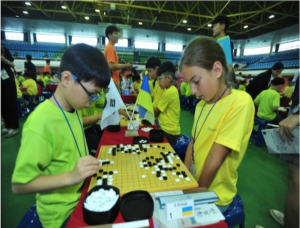 Organized by the Korean Baduk Association, the popular event will be held for the sixth time this summer. Any AGA youth 18 and under are eligible to attend, and a team leader is also sought. Accompanying adults are welcome as well, but are asked to pay a $270 fee to help cover costs (as is the team leader). If you are interested in the event, or would like more information, fill out the application form here. The X’ian Education Bureau is organizing an international tournament as well, for youth aged 13-18. A four person team will be selected for this event. The date is not set yet, but it is expected to be in mid-late August. 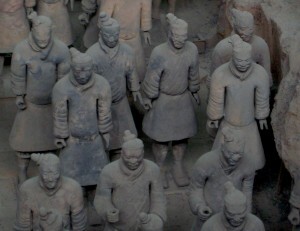 X’ian was the former capital of China and is rich in history and culture, and the famed terracotta army is nearby as well. The event will include three days of competition and two of sightseeing and cultural exchange. 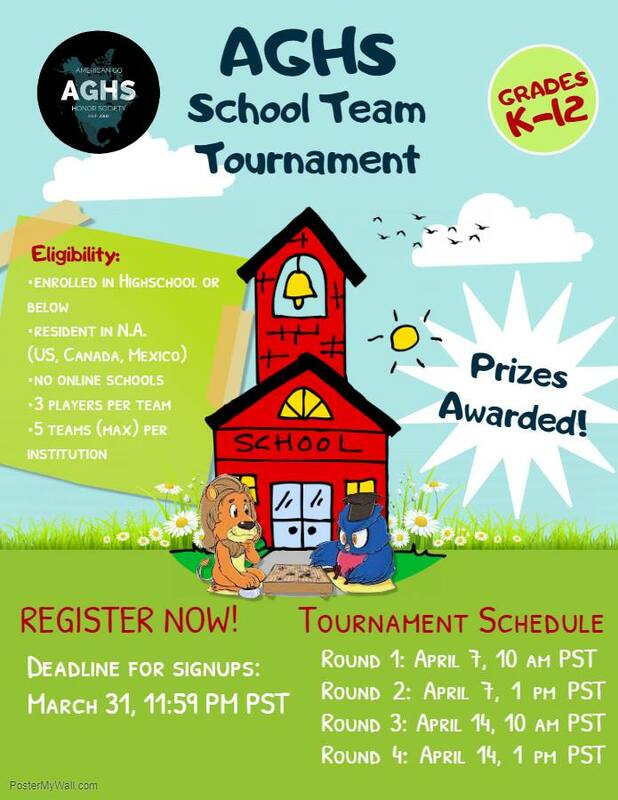 12-14 teams are expected to participate. As with the Kuksu participants must pay their own airfare. There is a $200 charge per person as well, and then all other expenses are covered. The application form is here. -Paul Barchilon, EJ Youth Editor. 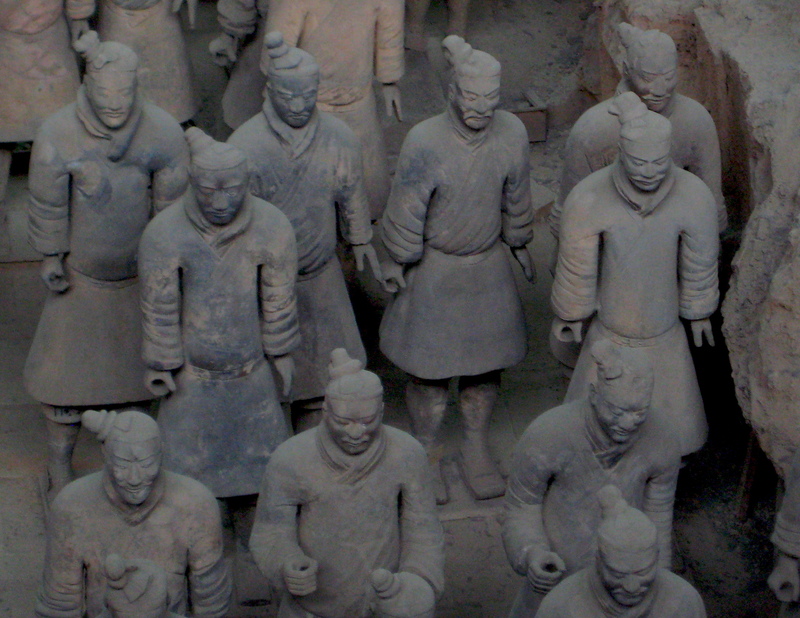 Photos: Top: 2018 Kuksu tournament; Bottom: A few members of the life-size Terracotta Army, of which there are 8,000. Photo by Paul Barchilon. I’ve just finished reading Cho Hunhyun’s fascinating book Go With the Flow, which was highly recommended by several prominent members of the AGA. It’s fascinating, although the Korean publisher should be ashamed for choosing a translator for such an important book someone is far from fluent in English. The translator probably had a high school course or two. The barbaric language is a constant distraction since it often requires a moment of reflection to decide what Cho Hunhyun must have been saying. Nevertheless, the insight into how one of the best players ever both thinks about and experiences playing the game is both inspiring and enlightening. I think any go player would be happy he or she had discovered go and eager to be more serious about the game after reading this book. Happily, it is not expensive. The overused expression “go is like life” is really true. Thinking more seriously about what playing the game involves and how it is played really will help you to be a better person, or at least to be a more thoughtful person. I know there are a lot of players who don’t think this way about go, treating it as just another of the many games they play, especially on the internet, but they are overlooking a profound experience that will enrich their lives. The 35th annual U.S. Go Congress will be held July 13-20 in Madison, Wisconsin. 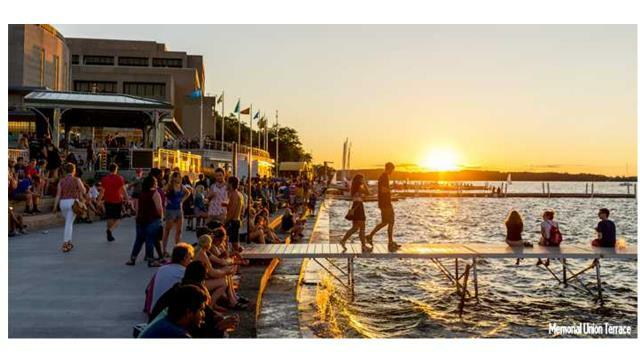 The playing site, Memorial Union on the UW– Madison campus, is on the shore of Lake Mendota within walking distance of many restaurants and attractions. Click here for detailed information about the Congress. 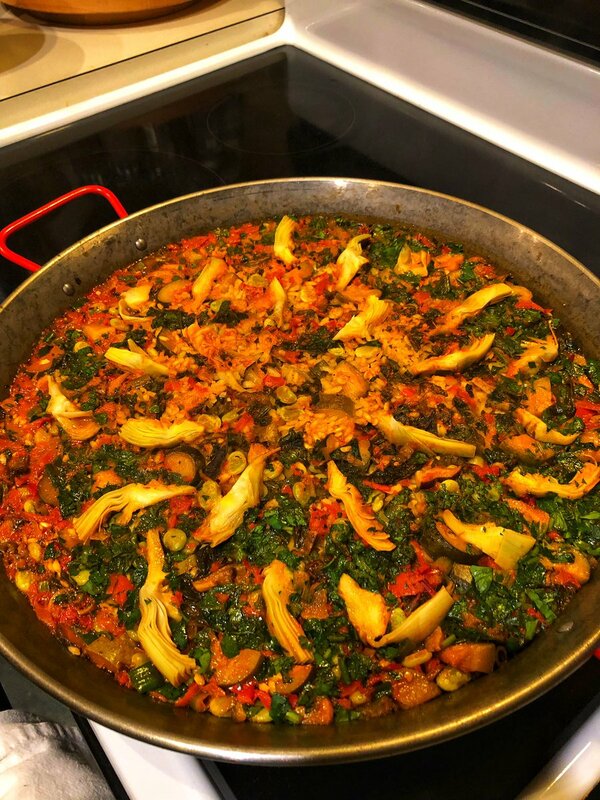 The “Register Here” tab on the Congress website will enable you to register and sign up for lunch and dinner plans, the banquet, and the day-off activity. After registering, you will receive an e-mail with a receipt and a link to sign-up for University housing. The Transatlantic Professional Go Team Championship’s players for both the AGA and EGF teams have been announced. Ilya Shikshin 3P is the highest-ranked player on the EGF team, while the AGA team has Ryan Li 1P, who has become a star by defeating a top Chinese pro — Chen Yaoye 9P — in the 3rd MLiliy Cup. 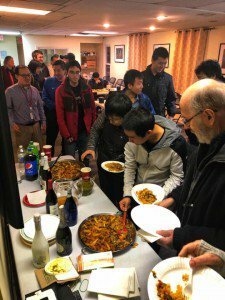 As it did during the AlphaGo – Lee Sedol match, the AGA is offering reimbursement for food and non-alcoholic drinks for organized watch parties for the first round of the Transatlantic Match, which will be live-broadcast on April 7 at 2 PM EDT. A chapter must be current on dues and the expenses must be reasonable for the expected turnout. 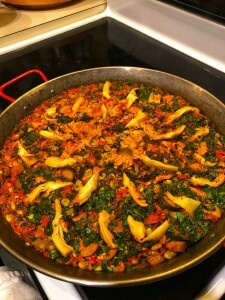 Send a few pictures of the party and a paragraph description along with a copy of receipt to journal@usgo.org. “We are also encouraging social media sharing of your stories,” says AGA president Andy Okun. Use #transatlanticgo and/or #teamAGA (or #teamEGF) for your stories. 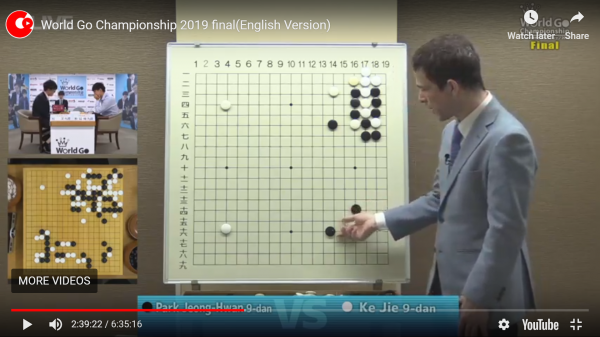 Park Junghwan has topped the World Go Championships for the third year; videos have been posted online and include commentaries by Michael Redmond 9P. The 3-day tournament March 18-20 featured Iyama Yuta 9p and Cho U 9p from Japan, Park Jeong Hwan 9p, Shin Jinseo 9p from Korea, Ke Jie 9p of China and qualifiers Jiang Weijie 9p (China), Liao Yuanhe (China) and Yoo Changhyuk 9p (Korea). The event was sponsored by the Hankyu Corporation, Sumitomo Mitsui Card Co., Ltd., NTT DOCOMO, Inc. and IGO&SHOGI CHANNEL INC. 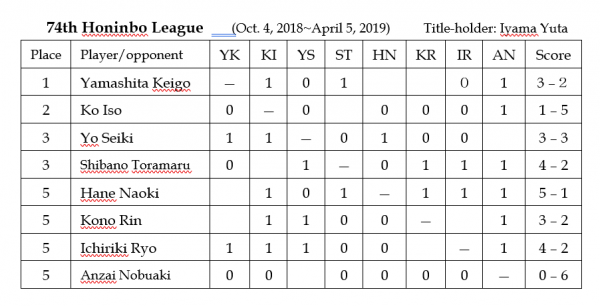 The Kisei qualifying tournament had a big day on February 14, with seven play-offs for seats in the C League, which is a five-round Swiss System. 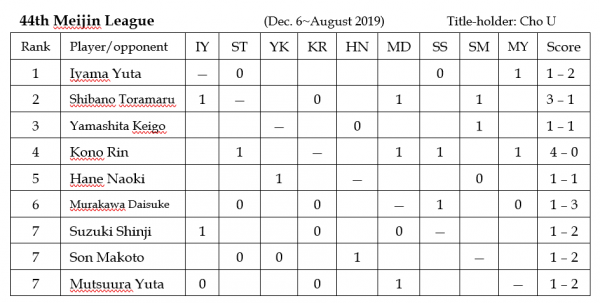 Places in the other leagues are decided by promotions and demotions within the leagues, but 16 players drop out of the 32-player C League, giving a lot of chances to the participants in the massive “First Tournament,” as the qualifying tournament is called. On February 21, Xie Yimin 6P (W) beat Otake Hideo 9P by resig. and also gained a seat in the C League. 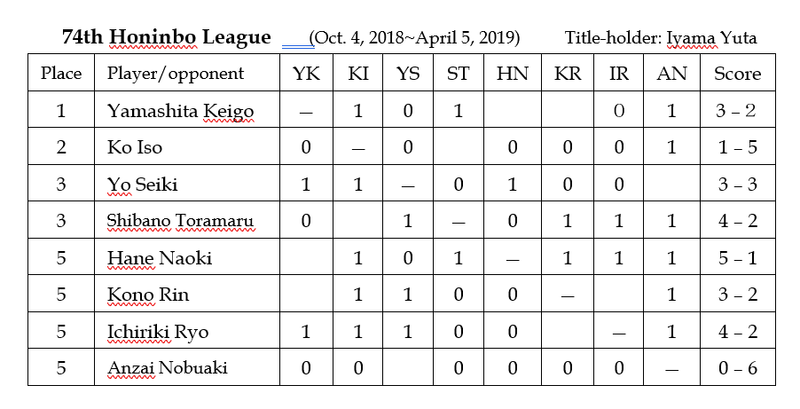 Iyama Yuta defended the 43rdKisei title but not before being given a scare by the tenacious challenger Yamashita Keigo. After four games, Iyama had a 3-1 lead, so the match seemed as good as over. But Yamashita had other ideas. 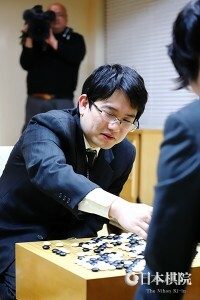 The fifth game was held at the Tokiwa Hotel in Kofu City, Yamanashi Prefecture, on February 27 and 28. The game was a kadoban for the challenger, so he was under a lot of pressure. Playing white, Iyama sacrificed a small group in return for outside thickness, and Yamashita seemed dissatisfied with his opening, judging by the fact that he declined to make what looked like an advisable reinforcing move and instead played aggressively in an attempt to counteract White’s thickness. However, Iyama made an overplay in the ensuing center fight, so Yamashita was able to pull off an upset. He won by 6.5 points. With his Judan title defense due to start soon, Iyama, must have been disappointed to let slip this chance to reduce the burden on himself. 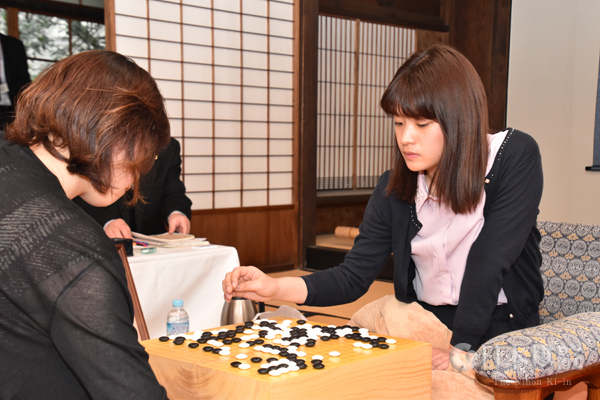 The sixth game was held at the Kagetsuen inn in the town of Hakone in Kanagawa Prefecture on March 7 and 8. This was the second kadoban for Yamashita. Starting in the opening, he played an aggressive, attacking game with white and turned the game into one large confused fight. Iyama is at home in this kind of game, so Yamashita was unable to turn it in his favor. However, right at the end he was able to put a large black group into ko and pull off an upset. White won by 6.5 points after 250 moves. Iyama will regret not being able to hang on to the lead, but the mutual aggression made this a very entertaining game. 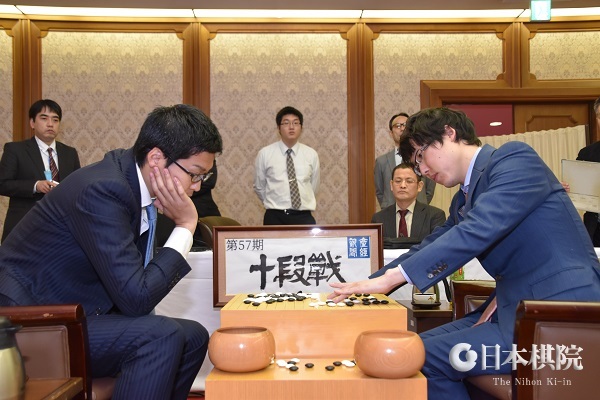 Yamashita had finally drawn level with Iyama; usually the player catching up has better momentum, so there seemed to be a good chance of Iyama’s being dethroned. The final game of the series was played at Ryugon, a Japanese inn in the city of Minami (south) Uonuma in Niigata Prefecture on March 14 and 15. Yamashita drew black in the nigiri. This was yet another fierce fighting game, with Yamashita making an all-out attempt to capture a large white group. However, he made a mistake in timing, losing two points by failing to make a forcing move. After this slip, he began playing erratically, so Iyama was able to seize the initiative. In the end, he won by 6.5 points, the same margin as in the sixth game. This is the seventh year in a row that Iyama has won the Kisei title. One more defense and he will match Kobayashi Koichi’s record of eight in a row. He has maintained his quintuple crown. It is his 55thtitle and his 45thtop-seven title, the latter extending his record. 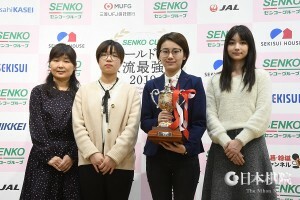 The Senko Cup World Go Strongest Woman Player Tournament 2019, to translate the name literally, was held at the Nihon Ki-in in Tokyo from February 22 to 24. It is the only international professional women’s tournament sponsored by a Japanese company. The inaugural tournament was held last year and was won by Yu Zhiying 6P of China. She again demonstrated overwhelming strength and repeated as champion. This year she defeated Choi Jeong 9P of Korea in the final. First prize is 10 million yen (just under $90,000). Full results are given below. Round 1 (Feb. 22). Yu (China) (B) beat Mannami Nao 4P (Japan) by resig. ; Tsukuda Akiko 5P (Japan) (W) beat Nataliya Kovaleva 5D (Russia) by resig. ; Choi (W) beat Nyu Eiko 2P (Japan) by resig. ; Hei Jiajia 7P (Chinese Taipei) (W) beat Ueno Asami 2P (Japan) by resig. Semifinals (Feb. 23). Yu (B) beat Tsukuda by resig. ; Choi (W) beat Hei by 2.5 points. Final (Feb. 24). Yu (B) beat Choi by 3.5 points. Play-off for 3rd place: Hei (W) beat Tsukuda by resig. Iyama Yuta played positively and took the initiative. Murakawa launched a fierce attack late in the game, but Iyama countered forcefully in rescuing a group under attack and prevented an upset. The second game will be played on March 29. Murakawa has now lost 13 games in a row to Iyama, all in title matches. Back on January 5, this journal carried a report about Nakamura Sumire, who had been granted 1-dan rank at the Nihon Ki-in at the age of nine. When she makes her pro debut in April, she will be exactly ten years old, making her the youngest professional ever in Japan. She gained her 1-dan diploma under a new system in which the Nihon Ki-in can award professional status to promising young players without making them wait to gain the rank through insei competition. The aim, presumably, is to accelerate their development by exposing them at a younger age to professional competition. No one at the Nihon Ki-in has commented on the obvious risk of a premature promotion: the player may be discouraged and suffer a setback if he or she is not equal to the challenge. During the press conference, Kobayashi also expressed his gratitude to the Kansai Ki-in for all the assistance they had given to Sumire and for letting the Nihon Ki-in “poach” her. Here are a few more details about her career so far. Nakamura was born into a go family: her father is Shinya 9P and her mother, Miyuki, is a strong amateur who is also a go teacher. Early on, Sumire showed an interest in go, so her mother taught her the game when she was three. She immediately started playing in children’s tournaments. When she lost, she asked her mother how she could win and, on her advice, started studying go two hours in the morning and two hours in the afternoon. In 2015, aged exactly 6, she won a tournament for preschoolers, the 4th Watanabe Kazuyo Kids Cup. At this time, she was already amateur 4-dan. She then started playing in all-Japan tournaments for children and for female players, with good results. However, when she was seven, she started studying go more seriously, so she mainly stopped appearing in amateur tournaments. 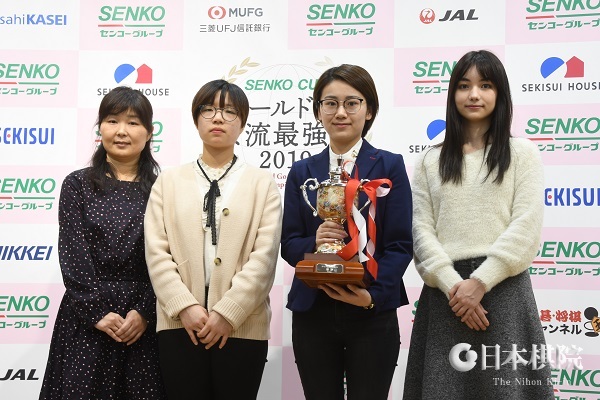 One exception was in July last year when she played in a tournament organized by Pandanet, the Ladies Tournament, and won it, including a win over a player who had twice won the All-Japan Women’s Amateur Championship. 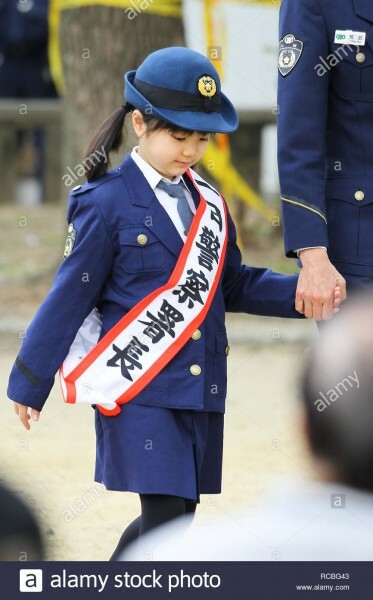 When she was eight, she became an insei at the Kansai Ki-in. She also underwent training in Korea last year from May to December, entering the famous go school of Han Jongjin and becoming a trainee (“kenkuyuusei,” = insei) at the Korean Kiwon. (Apparently she first visited Korea when she was seven, though I don’t have details. Reading between the lines, it may be that her father has more confidence in Korean professional training than in Japanese.) The number of trainees is limited to 108, so you have to win a place through a qualifying tournament. She quickly learned Korean and would interpret for her parents. Apparently she won a children’s tournament in Korea, but, again, I don’t have details. 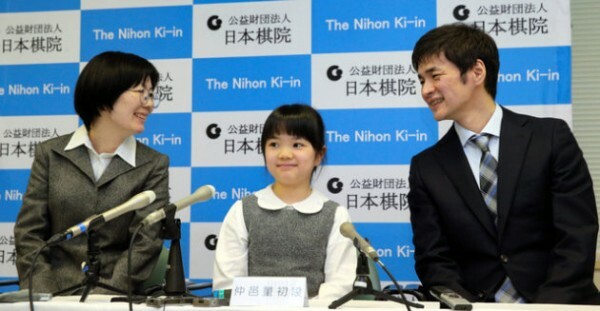 In the Nihon Ki-in’s press conference, Kobayashi Satoru 9P, who is Vice Chairman of the Board of Directors, described the new system for discovering youthful talent. It is called the Young Stars Special Promotion System for Recommended Players and in principle applies to elementary-school children. Kobayashi: “We made this system, modeled on a Korean system, to solve the problem of Japan’s having fallen behind in world go.” The decision to found it was formally made on December 8. Soon after Sumire became the first candidate. The decisive factor in the decision to award her 1-dan status was her good performance in a test game with Cho U Meijin played on December 13. Taking black and receiving a reverse komi of six points, she secured a jigo (draw). 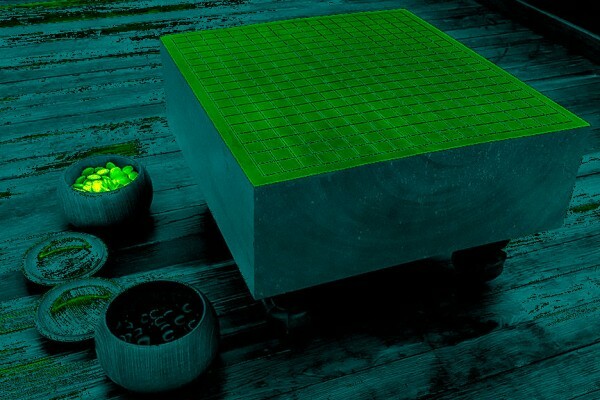 This game was published in the February 11 issue of Go Weekly. According to the commentator, Ichiriki Ryo, she had a lead in the middle game, but lost points in the endgame. This performance is quite close to 1-dan level. 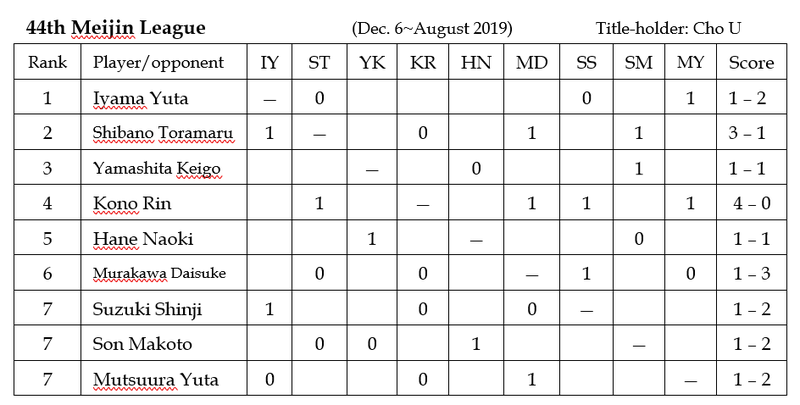 Every year Go Weekly organizes games between the players who are about to debut as new professionals; the handicap is black, with no komi, and the results are mixed. Actually, Nakamura may find things easier playing low-ranked professionals when her career starts in April because she has been put through the wringer in a number of tough teaching/demonstration games. Below is an update on these plus a report on a “temporary” police force promotion. On January 6, the day after the Nihon Ki-in held a press conference to announce her debut, Sumire played a “public commemorative game” with Iyama Yuta at a go festival in Higashi (East) Osaka City. This was a reward for winning the elementary schoolchildren’s tournament at this festival the previous year. The press conference the day before had attracted a lot of attention, being widely reported on TV, so there was a major media presence at the festival. Taking black with no komi, Sumire played positively and took the lead, but fell behind after an overplay in the middle game. However, the game was suspended after move 170 as the time allotted for it had expired. (It’s quite common for special games like this not to be played to a conclusion.) Iyama had played her at the same festival a year earlier; he commented that he was astonished by her improvement in the interval and added that she was stronger than he was at nine. Later in January, Sumire visited Seoul with her family, one reason being for her and her family to express their gratitude to people there who had helped with her training, especially Han Jongjin, who runs one of the top go schools. About 50 members of the Japanese and Korean media attended a press conference held on the 22nd. The next day she played a commemorative game with Choi Jeong 9P, the world’s number one or number two woman player. The game was played in a TV studio in the basement of the Korean Kiwon. Sumire was outplayed by Choi and resigned after 180 moves. In a commentary in Go World,Motoki Katsuya 8P commented that Sumire seemed to be quite familiar with the latest patterns played in international tournaments. In the middle game, Sumire got into trouble with over-aggressive play. Sumire is quite popular in Korea. A week after the above game, she visited Korea again at the invitation of the go channel K Baduk to play another commemorative game, this time with the “emperor” of Korean go, Cho Hunhyun. The game was played on January 30 and telecast on February 3. Playing black with no komi, Sumire lost this game too. Study time: According to her family, Sumire studies go six hours a day during the school year and nine hours a day in the holidays. When asked what was her favorite TV program in a press conference, her parents answered that there was no TV in their home. 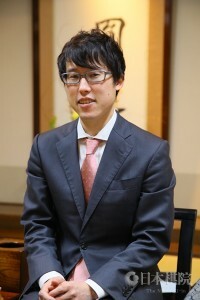 Media attention: Recently shogi has been attracting a lot of attention in the media thanks to the exploits of Fujii Sota, who has been rewriting the record book, including starting his career with 29 successive wins. (I wrote a couple of reports on him for the E-Journal, the later one being in the July 19, 2017 issue.) Sumire has been attracting similar interest, with all the above games and the one-day police chief event being widely reported on prime-time TV. Japanese TV loves to show celebrities shedding tears, and they made a lot of a reputation Sumire had for crying when she lost. However, perhaps she’s matured, because she didn’t cry after any of the losses detailed above. Someone in her family said that because she respected these players, she didn’t get upset when she lost. It’s now only a couple of weeks until she makes her professional debut. Even non-go players will be following her career with keen interest.